Young People's Concert Series | the Mann. 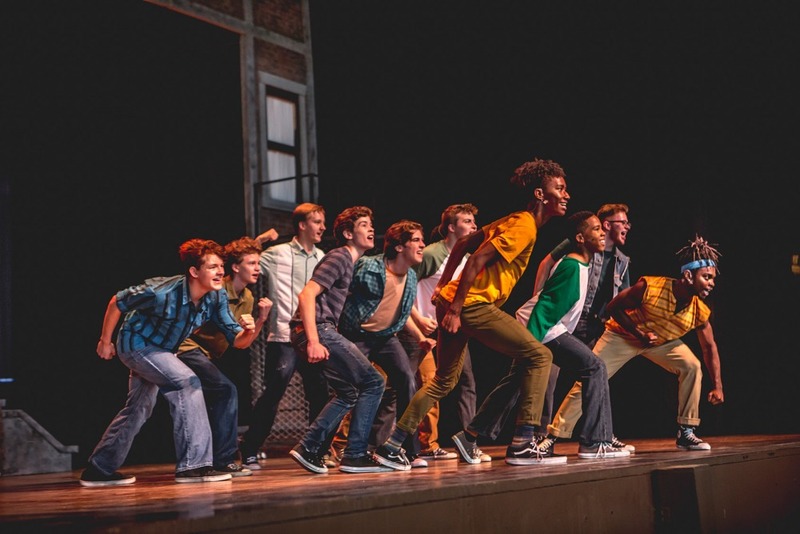 Students of Upper Darby High School performed Leonard Bernstein's West Side Story on May 30, 2018. This performance was also a part of the Mann's fifth community festival, Brilliantly Bernstein: Beyond the Baton. 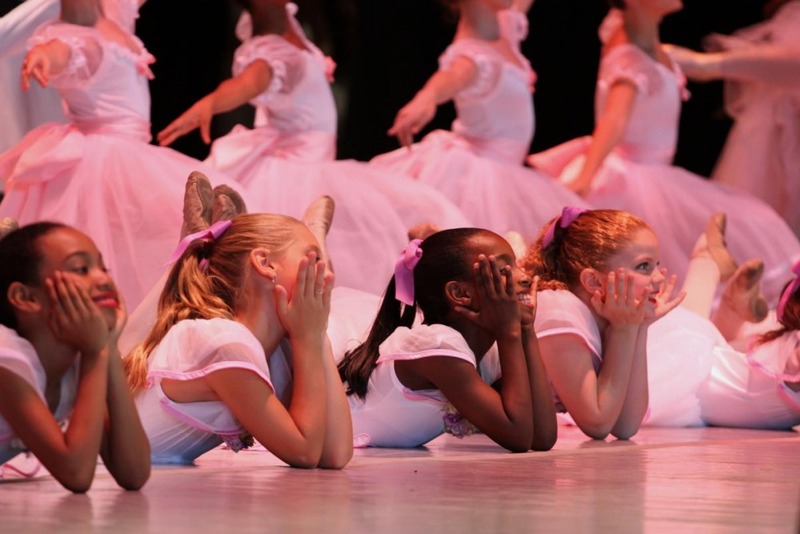 The Rock School for Dance Education brought a wide array of talent to explore the fusion of classical ballet, modern dance, and urban hip-hop moves and grooves in this exhilarating 2013 performance. 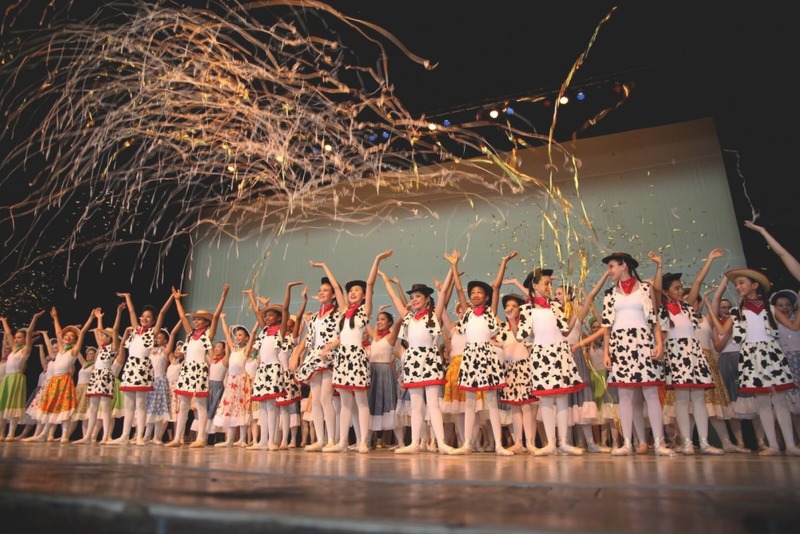 From colorful ensemble numbers to elegant solos, the Rock School delighted the young audience with a creative array of dancers and dance styles. 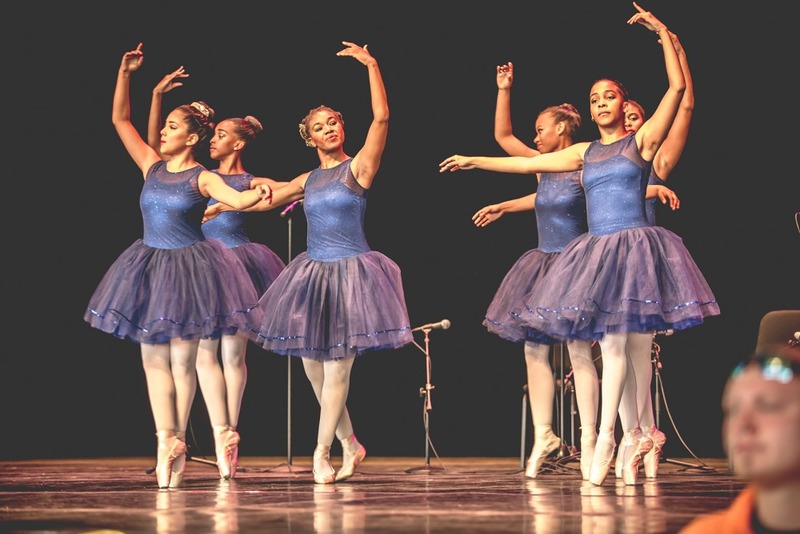 The 2014 "Rising Stars of Tomorrow" performance gave children of all ages the ability to experience the wide variety of talent Philadelphia has to offer, with hopes that they too will be inspired to get involved with the arts in Philadelphia. 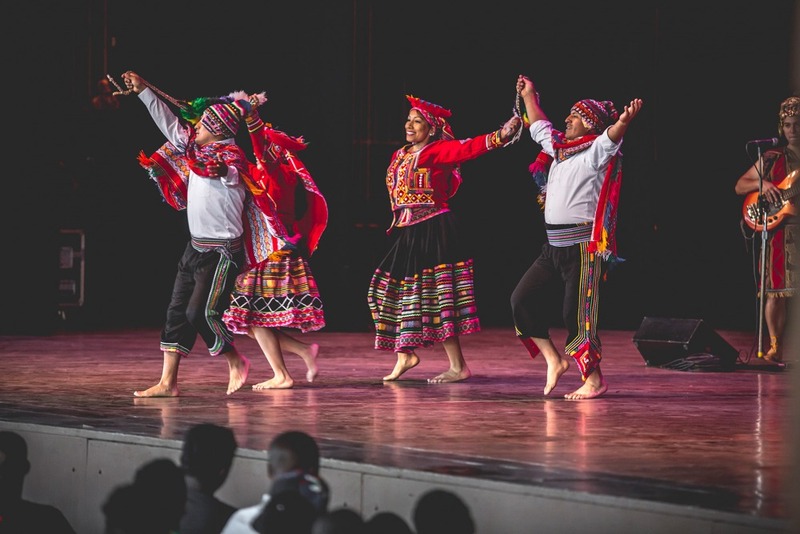 Inca Son returned to the Mann on July 11, 2018 for another vibrant, colorful performance of Peruvian music and dance. The 2014 YPCS performances consisted of a wide variety of dance and music from groups including The Philadelphia Trumpet Ensemble, Fiddledelphia, the Marcus Brian Trio, Nia-Next, and many more. 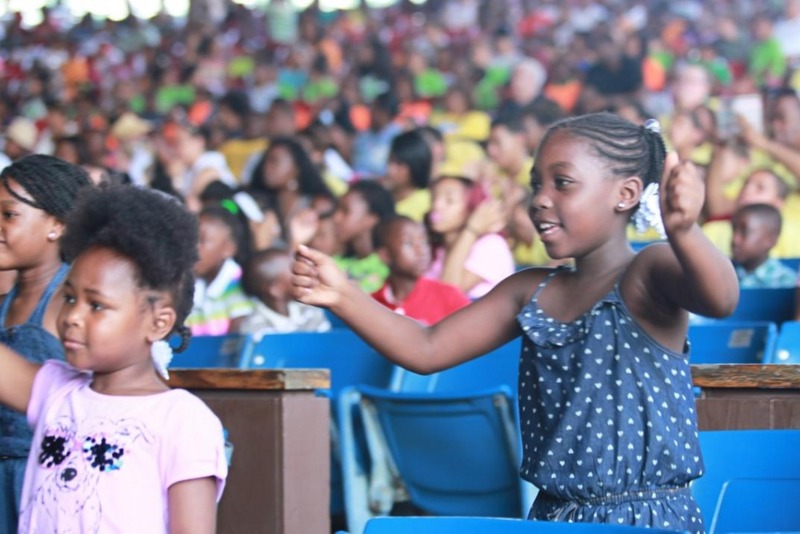 At a 2013 YPCS event, Black Violin performers proved to the audience of over 6,200 young people that classical music is cool. Audience members were treated to classical pieces featuring improvisational riffs on the violin as well as more well-known modern rock, hip-hop, R&B, and even a few original pieces, all underscored with catchy baselines and beats. 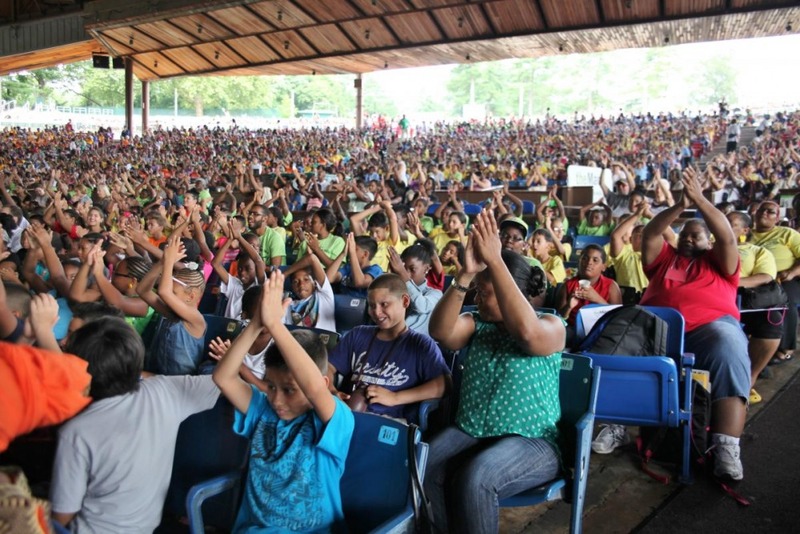 Children were asked to participate by clapping, tapping, and dancing along with the performers; several groups of young people were enthusiastically dancing in the aisles through the entire concert! Gwendolyn Bye's Dancefusion graced the Mann's stage at the Global Footwork event on August 1, 2018. 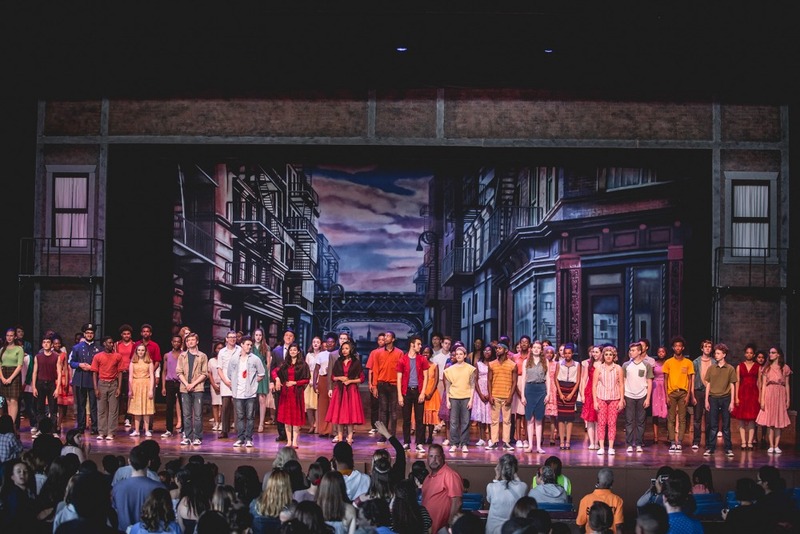 Students of Upper Darby High School performed Leonard Bernstein's West Side Story to an audience of over 5,000 attendees on May 30, 2018. 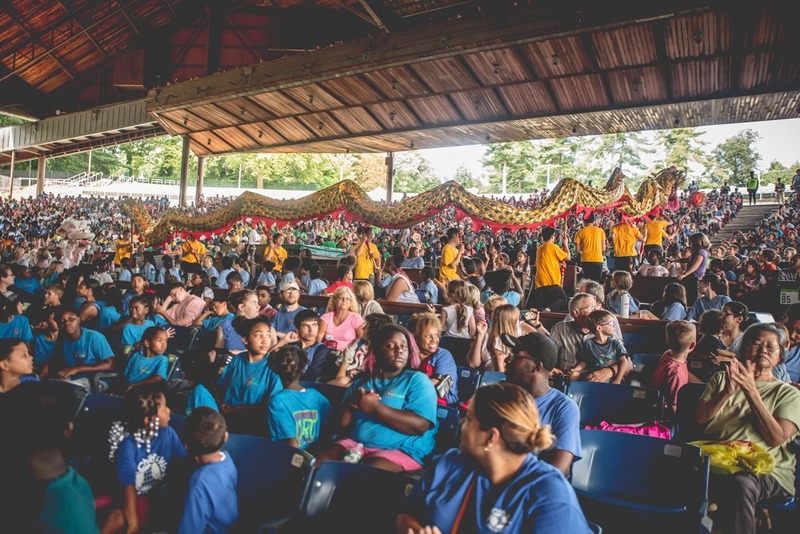 On August 1, 2018, the Philadelphia Sun Lion Dancers immersed the audience in Chinese lion dance traditions as a part of the YPCS event Global Footwork. Children celebrated the richness of African cultures with Cirque Zuma Zuma, a dazzling show that blends acrobatics, dance, and music, part of the 2013 YPCS series. Young people experienced authentic outfits and colorful staging depicting the traditions of the Andes Mountains in Peru at Inca Son's YPCS performance on July 11, 2018. 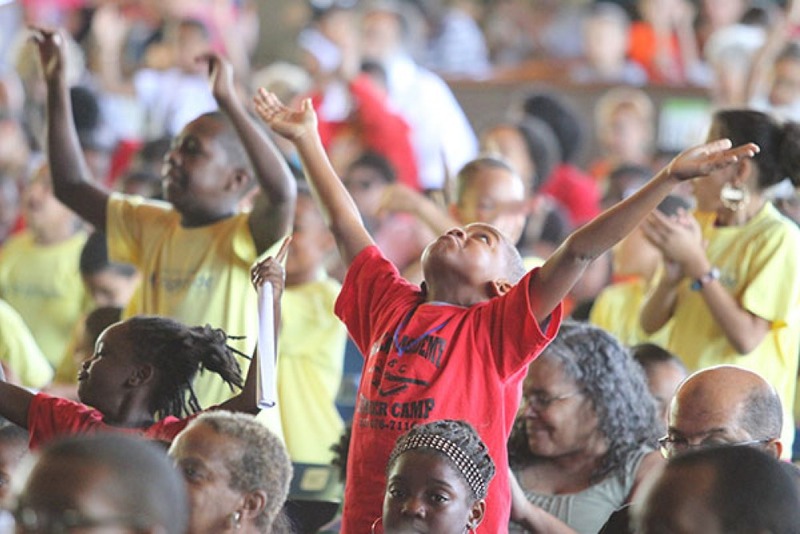 Children of all ages gathered at the Mann for the Afro-Brazilian Experience, the first of four free concerts in the 2014 Young People's Concert Series. 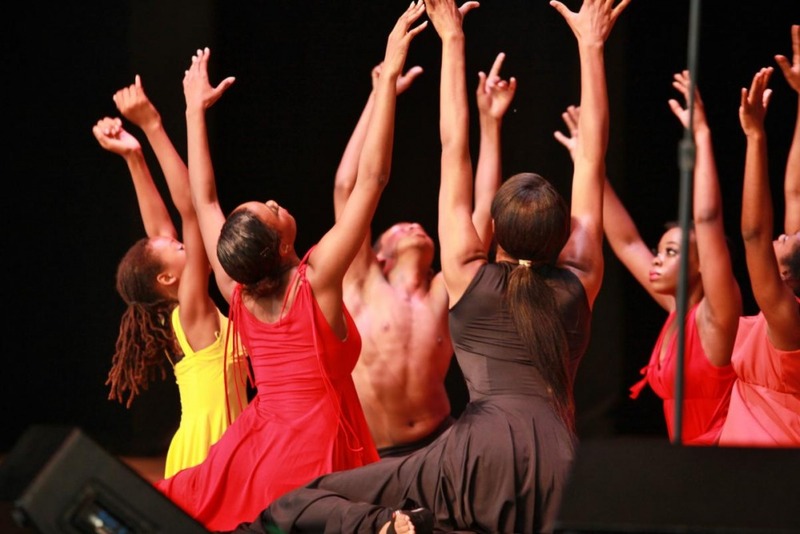 The show featured Ologundê, a New York-based Afro-Brazilian folkloric music and dance group. 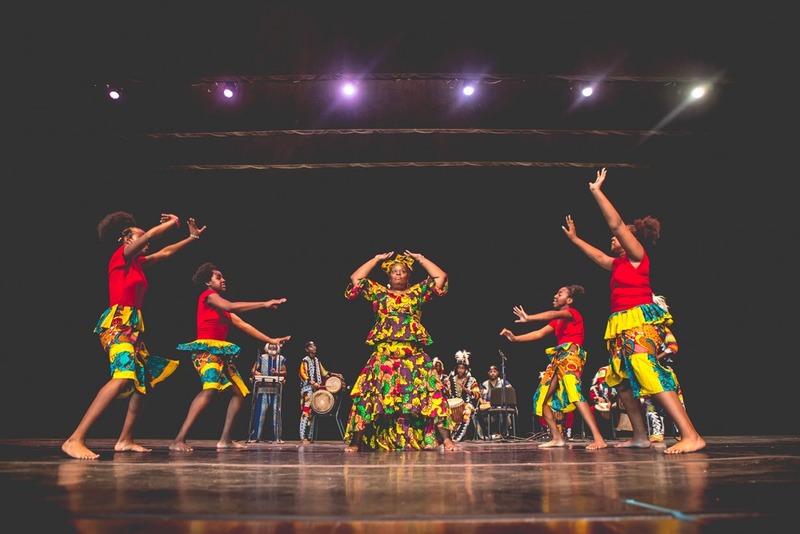 Ologundê incorporates music, dance, and martial arts to celebrate Afro-Brazilian culture. 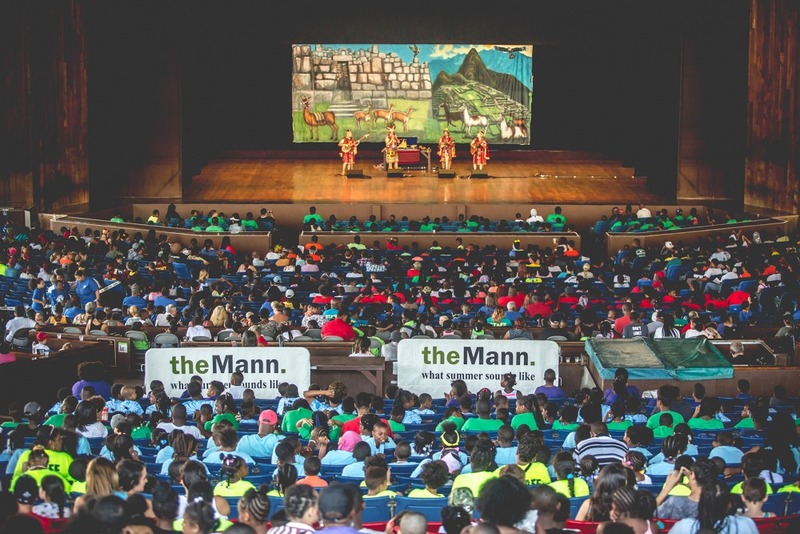 The Universal African Dance & Drum Ensemble returned to the Mann for Global Footwork on August 1, 2018. Young People’s Concert Series events are presented free of charge and provide culturally diverse performing arts programs accessible to students grades K - 12 and families in an informal atmosphere. Events feature multicultural performances by internationally acclaimed, emerging, and regional young artists. Young People’s Concert Series events are open to the public and include programs for students K-12. Concerts are held at the Mann's pavilion. All performances are 75 minutes. Parking is provided free of charge. Tickets are not required for entry to these free concerts. All seating is general admission and given on a first-come, first-served basis. In partnership with The Upper Darby Performing Arts Center and performed by students of Upper Darby High School, the Mann Center will present the musical Hairspray to kick off our 2019 Young People's Concert Series. About: It’s 1962 in Baltimore, and the lovable plus-size teen, Tracy Turnblad, has only one desire – to dance on the popular “Corny Collins Show.” When her dream comes true, Tracy is transformed from social outcast to sudden star. She must use her newfound power to dethrone the reigning Teen Queen, win the affections of heartthrob, Link Larkin, and integrate a TV network… all without denting her ‘do! People of Earth is a dynamic world music ensemble set on blurring the barriers between the great art forms of the terrestrial sphere, creating an explosive blend of the music of Cuba, Puerto Rico, Brazil, and beyond. With a world-class collective of musical minds whose origins span three continents with influences ranging further still, such an ensemble could only be christened People of Earth. Check back for registration information. Every country around the globe has a tradition around rhythm and how it reflects that culture’s traditions in music and community. Come join the Mann Center in exploring the world by listening and feeling the beat from multiple group performances. No passports needed to travel the world one beat at a time! There will be rhythms from Africa, the Caribbean, and more. This upbeat and fun performance is geared for all ages. For more information about YPCS, please contact Naomi Gonzalez, Director of Education and Community Engagement Operations, at education@manncenter.org.